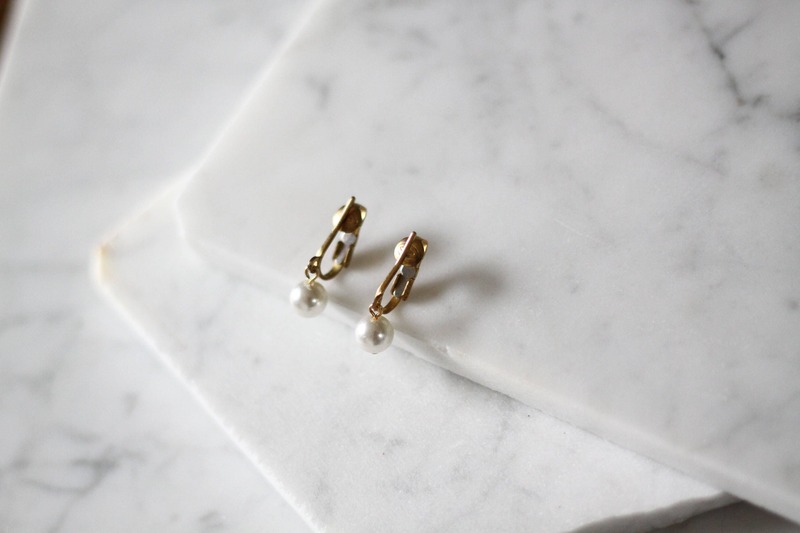 1950s gold post earrings with a small pearl drop. 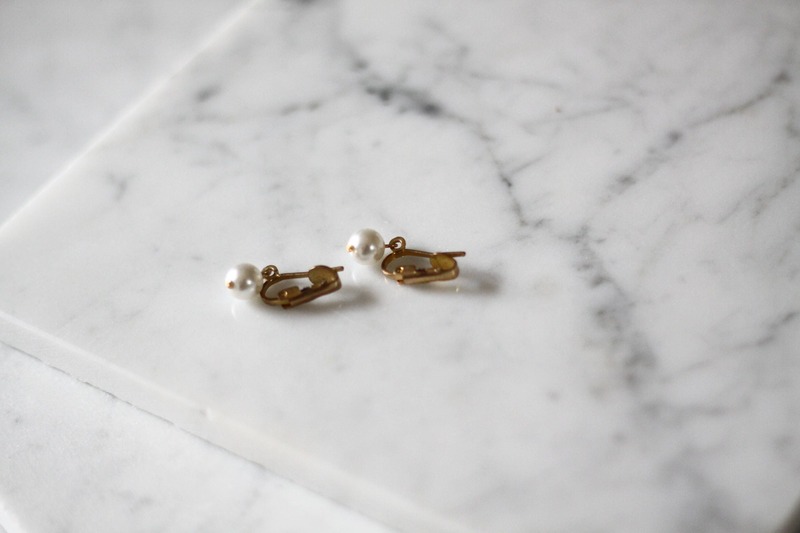 Clip on backing. 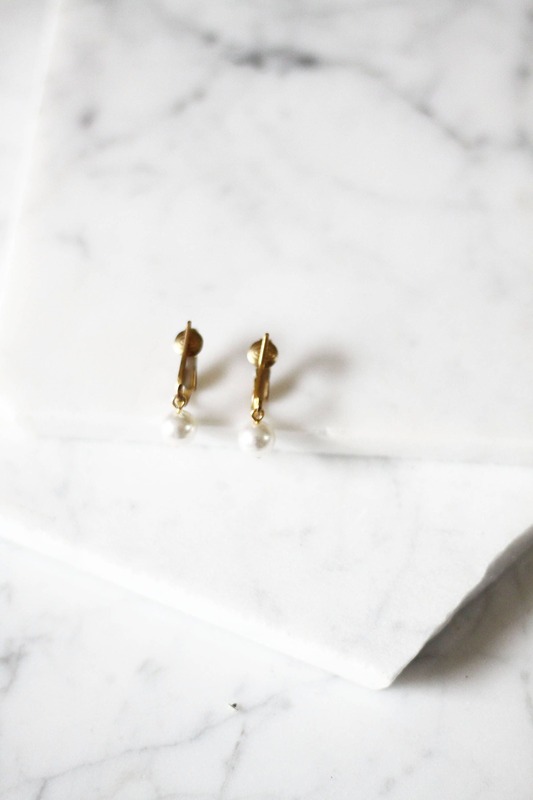 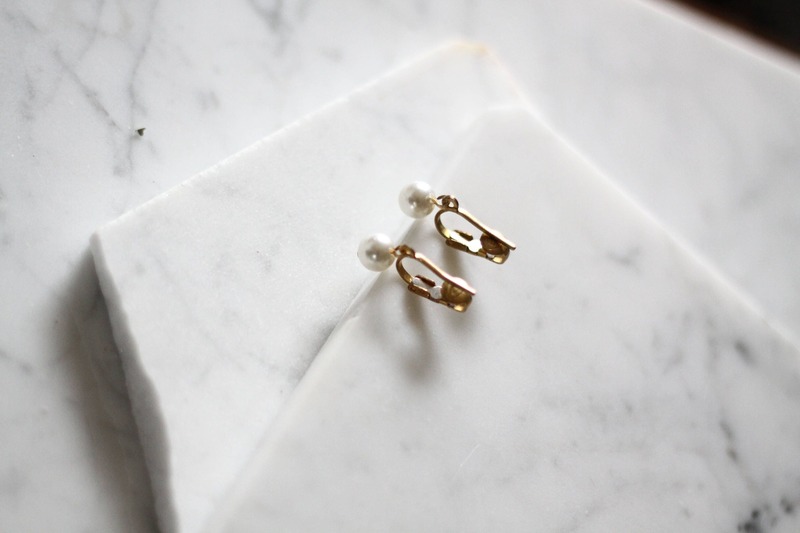 These earrings are unique because they have a very skinny gold bar that sits on the front of the ear lobe and the pearls just hang delicately from it.